Canon Middle East (stand 1D10) joins Gulf Print & Pack 2019 to present the full potential of a range of innovative solutions and high quality technologies that meet the evolving expectations of commercial printers and corporate print departments of every size and type. The event will be a platform for live demonstrations of a central reprographic department (CRD) with its complete set of components from prepress, press to post press. The illustration highlights Canon’s different technologies ranging from cut sheet colour represented in imagePRESS, to cut sheet block and white varioPRINT Titan and varioPRINT DP Line technologies. In addition, it incorporates wide format printing represented by Colorado 1640, Plotwave 365, imagePROGRAF TX-4000, imagePROGRAF TM-305 MFP, and imagePROGRAF PRO 6000. 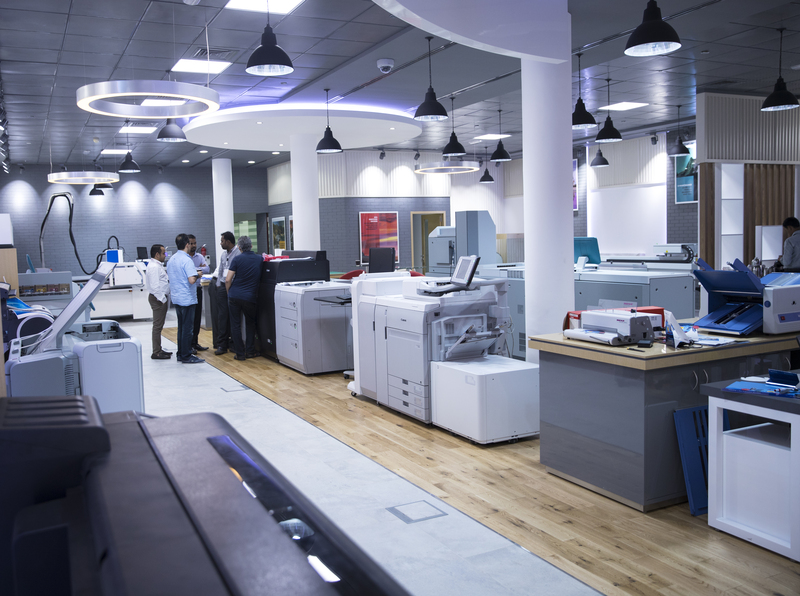 It aims to educate customers about the value of having a complete printing solution at the organisation, and how to scale it according to different needs of the business processes. Canon will also highlight the right tools to systematically uncover the full potential of the CRD at the event’s Innovation Trail. A variety of applications will be demonstrated on the stand showing the company’s proposition for the verticals of Education, Hospitality, Banking and Commercial Printing with industry experts providing insight into transforming the CRD from ‘just’ the in-house print and copying department into a communication service provider that’s vital to the organization. Recognising that these businesses are plagued with the management of high volume jobs and documents, Canon will deep dive into the challenges faced by them, to provide a complete solution that enables CRDs to work towards their customers’ gain, and find solutions that allow them to perform jobs efficiently under increasingly tight time constraints.